Mar8 by John M. Buol Jr.
Master Sgt. George Harris, USAR, Ret., SIGARMS Academy co-founder and former Army Reserve Marksmanship Team member, announced the official launch of the Linda Harris Memorial Scholarship administered by the United States Concealed Carry Association. Linda Harris, who passed away at age 68 on September 1, 2018, was well known in the firearms community as an outstanding instructor who dedicated herself and her career to training people to defend themselves and to encouraging women to get involved in the shooting sports. After George Harris co-founded the SIGARMS Academy, Linda joined on as the first female firearms instructor in the history of the company, teaching a variety of firearms-related subjects to men and women alike. She often instructed military personnel with her husband and performed range duties at Quantico and Fort Benning during matches. Often referred to as “The Boss Lady” by Soldiers and shooting team members that worked with, Linda held a command for respect that was immediate by all who knew her. After officially retiring in 2011, she continued teaching women in the proper use and safe handling of firearms for sporting and defensive use. Applicants can begin by visiting the Linda Harris Memorial Scholarship website for additional information. All female firearms instructors, especially those in the Army Reserve, are encouraged to apply. 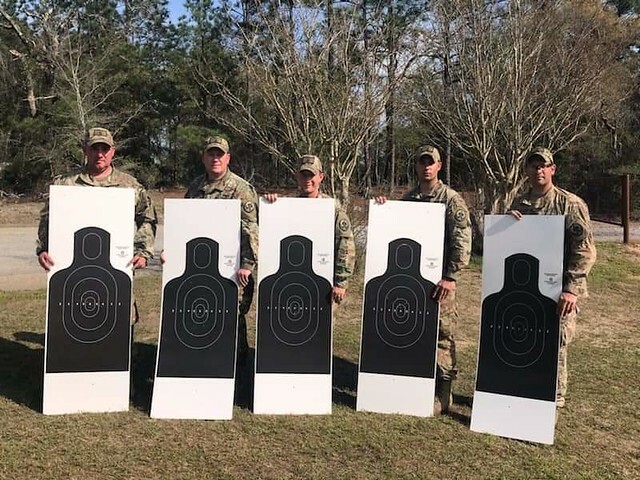 Feb7 by John M. Buol Jr.
SFC Jake Probst, USARCMP member and full-time educator, created a Rifle and Carbine Assessment. This quiz tests your knowledge of current Army small arms doctrine. It is open book and, as always, you are encouraged to use the manuals (https://armypubs.army.mil) to look up answers.